If you ever want to make chicken piccata (my FAVORITE chicken dish) but just feel "meh" about all of the steps involved, and maybe a lack of multiple lemons is holding you back, then I have a recipe you will likely get excited about. This dish is for caper lovers. That's your warning. 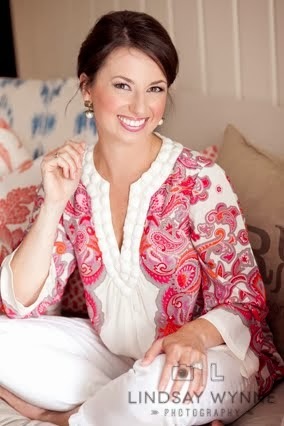 If you could snack on them by the handful, like me, then prepare to jot this recipe down! Cut each chicken breast again to make eight thin pieces. To do this, place your palm onto one and then, with a large, sharp knife, butterfly the chicken breast until you get two thinner pieces. Heat a wide frying pan with just enough oil or butter to cover the bottom of the pan. Dredge each piece of chicken in the flour and pan fry in the oil, on medium to medium-high heat, turning until each side is golden brown. When the chicken is almost done, toss the capers onto the chicken, sprinkle the lemon juice on top and cover until the chicken is completely cooked. You may notice that I added an asterisk above to the juice of one lemon. When I decided to make this Sunday night, I didn't even have ONE lemon on hand! I did have some pulpy orange juice, however, so I subbed a few tablespoons of that instead, and it gave the dish the perfect citrusy flavor. This is definitely a favorite chicken dish in our home, and I hope you'll share your thoughts with me if you decide to make it as well! This sounds easy and amazing. 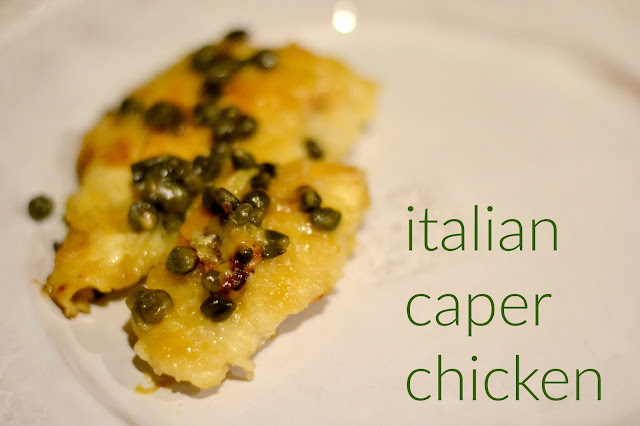 We LOVE capers in our house--thanks for this post! mmmm this looks so good & easy to make! definitely saving this for a night down the road when I don't feel like making anything too involved! thanks for the idea! This looks so delicious and w'ere all about the easy! We have chicken a couple nights a week and it's always nice to throw a new recipe in - can't wait to try!